KUWAIT: Kuwait is amidst national celebrations, with the 58th anniversary of ending the British protection and declaring independence being on June 19, 1961. Yet, the current National Day; February 25th, concurs with the 28th Anniversary of Liberation (February 26th) and 13th Anniversary of His Highness the Amir Sheikh Sabah Al-Ahmad Al-Jaber Al-Sabah assumption of post (January 29th). The independence document was signed by the then Amir late Sheikh Abdullah Al-Salem Al-Sabah, the 11th ruler of Kuwait. 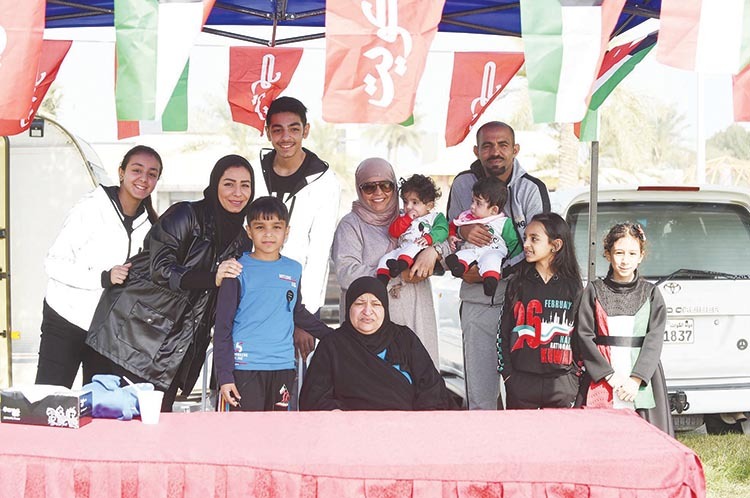 Kuwait celebrated the National Day once on June 19, 1962; however, the occasion was pushed back to February 25 the following year to coincide with the now defunct throne sitting celebration. In 1962, Kuwait took the first step towards formulating the constitution with the establishment of a founding committee tasked with writing the draft constitution. Sheikh Abdullah Al-Salem approved the document in November of the same year. Kuwait entered the legislative period through the first elections held on January 23, 1963. Since independence, Kuwait took the path of a balanced national and foreign policies aimed at achieving welfare and development to the Kuwaiti people and also bolstering cooperation with neighbors in the region as well as friends around the world. While Kuwait continues to play a pivotal role regionally and internationally, the people of the country rely wholesomely on the guidelines and wise policies set by His Highness the Amir of Kuwait Sheikh Sabah Al-Ahmad Al-Jaber Al-Sabah. Through his efforts on the national level, His Highness the Amir focused on envisioning plans that would lead to the overall development of Kuwait. On October 10, 2018 His Highness the Amir patronized the second Kuwait Achievers for Future Opportunities (KAFO) conference. KAFO is an initiative by Al-Diwan Al-Amiri in collaboration with the Ministry of State for Youth Affairs. His Highness the Amir economic development vision aims at transforming Kuwait into a regional and international center for finance and business. Several finalized projects became known thanks to His Highness the Amir including the Sabah Al-Ahmad Sea City, Abdullah Al-Salem Cultural Center (ASCC), Kuwait Motor City (KMC), the Jahra Medical City, the Kuwait International Airport’s Terminal 4 (T4), and Jaber Al-Ahmad Hospital. On the foreign policy level, His Highness the Amir always focused on building bridges of understanding and peace amongst the nation of the world to achieve overall prosperity for everyone.